US architect, designer and film-maker Charles Eames was born in St. Louis and studied architecture at Washington University from 1924 to 1926. He worked with an architectural firm in St. Louis from 1925 to 1927 and then in private practice as a partner of Gray and Eames from 1930 to 1937. He then became head of the department of experimental design at Cranbrook Academy and worked with Eero Saarinen investigating plastics and furniture. In 1941, Eames and Saarinen won prizes in a competition held by the Museum of Modern Art to discover imaginative designs for contemporary living. Designs were exhibited at the Museam as "Organic Design in Home Furnishings." Eames and Saarinen's design of a high-backed chair was produced. Charles married Ray Kaiser in 1941 and moved to Venice, CA to design film sets for MGM but continued experiments with plywood; producing and supplying plywood leg splints to the US Navy starting in 1942. Their workshop became a subsidiary of the Evans Products Company, laminating glider parts starting in 1943. In 1946 the company turned to production of Eames chairs, when his rights were bought by the Herman Miller Furniture Company. That year, the Museum of Modern Art exhibited his work at a show, "New Furniture Designed by Charles Eames." In 1948 the Museum of Modern Art held an international competition for "Low Cost Furniture Design" in collaboration with a group of furniture retailers who agreed to produce the winning designs. Herman Miller produced one by Eames with an organically-shaped one-piece stamped metal bucket seat in fiberglass, the first successfully mass-produced plastic chair. It was produced through 1995. In 1951 a series of upholstered chairs, with welded wire mesh shells shaped to body forms and designed by Eames were also introduced by the Herman Miller Furniture Company, and were produced through 1967. 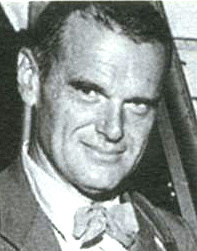 Eames in 1953 produced a 20-minute educational film, A Communications Primer his first, explaining communications theory. In 1956 the Herman Miller Furniture Company introduced Eames's lounge chair and ottoman with molded rosewood plywood shell structure padded with leather cushions. While quite expensive and originally designed as a birthday gift for film director Billy Wilder, the design became a classic, was placed in the Museum of Art's permanent collection, and won a gold medal (Compasso d'Oro) at the XII Triennale in Milan in 1960. At the 1958 World's Fair in Brussels, IBM sponsored an Eames film, "The Information Machine," and in 1961 IBM sponsors an Eames exhibit for the Museum of Science and Industry in Los Angeles, "Mathematica: A World of Numbers...and Beyond." At the1964 Worlds Fair in New York, Eames designed another IBM exhibit, "Scholar's Walk." In 1962 O'Hare airport tandem seating by Eames and introduced by Herman Miller Furniture Company, was used in airports throughout the world, capturing 90% of the market and was still in use in 1992. At WORLDESIGN 85, at the first Congress of the International Council of Societies of Industrial Design held in the US, hosted by IDSA in Washington, registrants voted Charles Eames the Most Influential Designer of the 20th Century.